Home » Is it time to rethink your daily routine? There’s a good chance you have a tube of Burt’s Bees lip balm in your pocket or bag right now. There’s probably one in your car…maybe in your bedside table, too. We get it. We love Burt’s as much as you do! 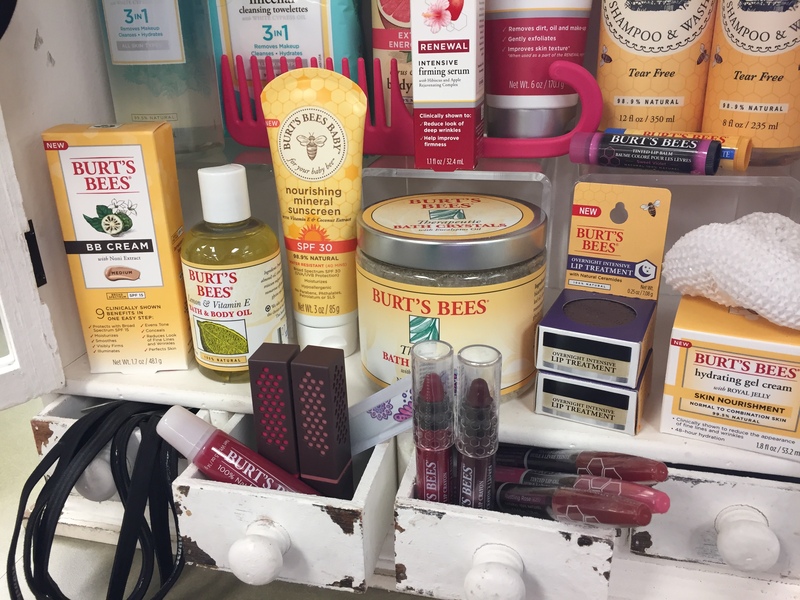 But did you know that Burt’s Bees has amazing natural skin care, bath and body, and cosmetic lines, too? Our bath & body section features a huge selection – decadent lip glosses and pencils, rich nighttime facial creams, natural baby skin care and so much more- for you to experience. Stop in to Hershey Pharmacy & Gift today and explore the benefits of skin care sourced from nature. “Your skin is beautifully alive. It’s a living, breathing thing—your body’s largest, loveliest organ—and when it’s healthy, it shows.